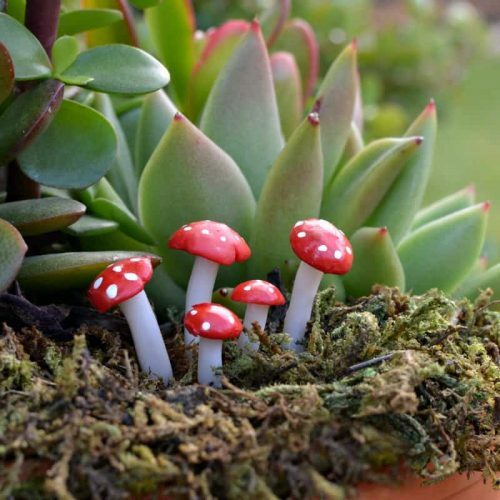 It is widely believed that the appearance of toadstools indicates the presence of fairies. A ring of toadstools (or fairy ring) is thought to be the place where fairies dance and play. 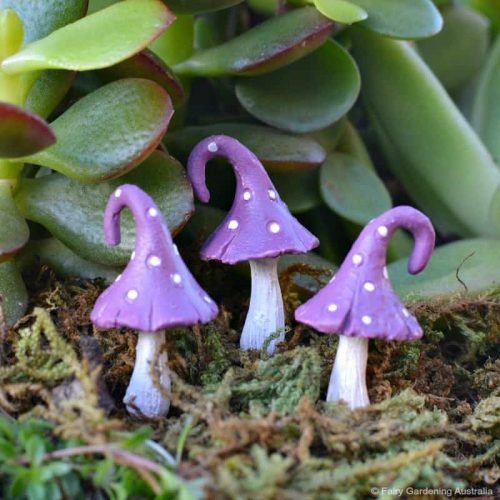 Toadstools have a long and fascinating association with fairies. 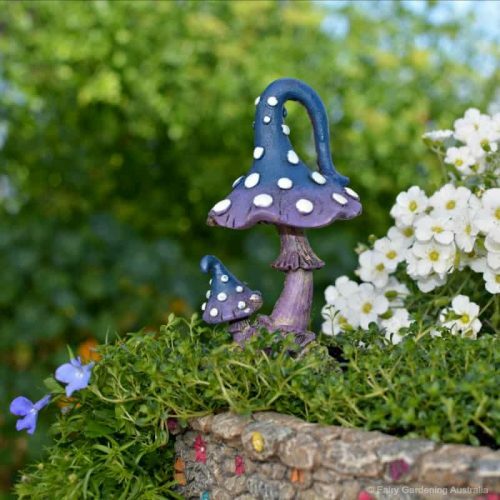 Consequently, they are often considered essential to a fairy garden. 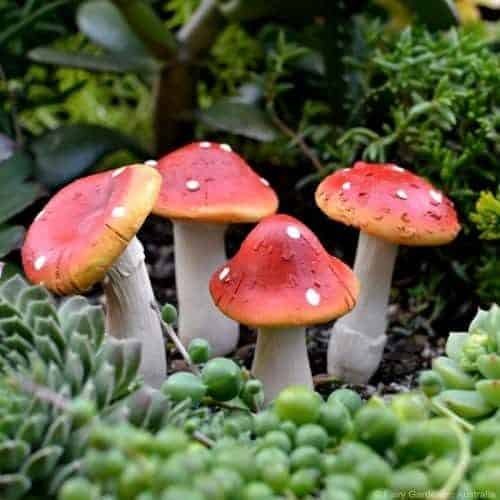 Delve a little deeper into folklore and we find a much deeper connection between toadstools and the origin of fairies. It just so happens that my other passion is fairy folklore (yeah, my interests are wide and varied!) An epic tale of an ancient culture lies at the heart of this connection. However, the rise of the fairies is a spellbinding tale that I will keep for another day. 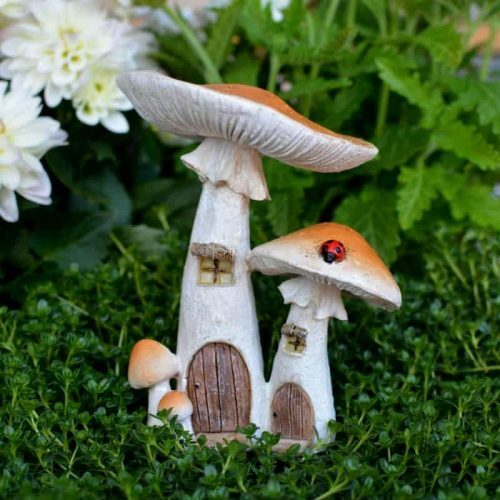 When you get the chance to visit our showroom, ask me for a quick lesson in fairy mythology! I love our collection. Most feature stakes for secure placement making it easy to position them individually or in clusters around your landscape. 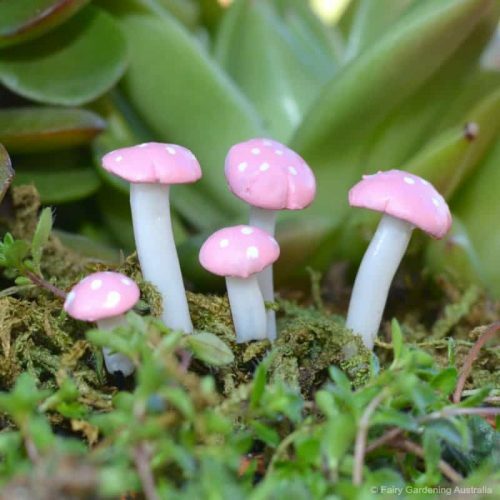 The fairies will be delighted.